Outgoing Chief of Staff says Israel's interests are served by allowing economy of Hamas-ruled Gaza Strip to grow. Outgoing IDF Chief of Staff Gadi Eizenkot warned that Israel's decision to halt transfers of money from Qatar to the Hamas-ruled Gaza Strip would hasten a violent confrontation with the Hamas terrorist organization. Speaking at a farewell meeting with the heads of the local councils in the Gaza periphery, Eizenkot said that Qatar's money transfers served to relieve tension inside Gaza and without it, "the explosion will come sooner." Eizenkot explained that this is not a "breakthrough," but rather a realization of Israel's interest in strengthening the economy in Gaza. However, Eizenkot also told the council leaders that the chances of a new outbreak of violence along the Gaza border in the coming weeks are slim. "I hope that by the end of 2019 there will be nothing to complete the barrier." "I understand the frustration, but you have to remember what happened before me and take into account that there are more fronts to deal with," Eizenkot said, noting that the situation in the Gaza Strip is difficult for those living there, but Gazans are not starving. The chief of staff revealed that Israel had thwarted the smuggling of tens of thousands of rockets. "We thwarted the smuggling of 15-20,000 rockets. Hamas sees a great victory in the political moves that are taking place in Israel as a result of terrorism." 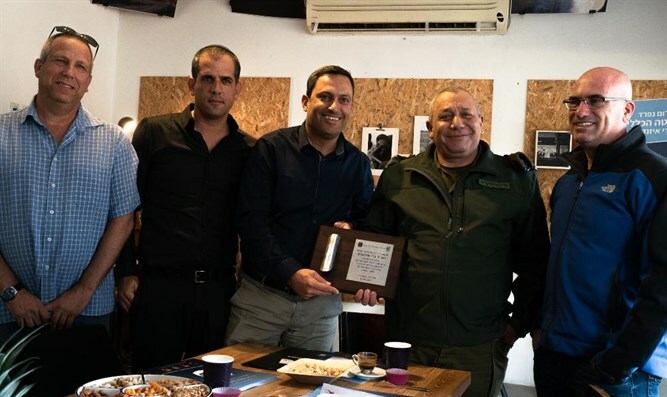 Gadi Yarkoni, head of the Eshkol Regional Council, said after the meeting that "Eizenkot accompanied the IDF's defensive activity on the communities surrounding the Gaza Strip in one of the most challenging periods we have known and developed with us, the heads of the councils. Under his command and on his insistent recommendation, the Israeli government adopted one of the most significant and egalitarian decisions in terms of the Gaza envelope communities - the barrier project against infiltrations and the threat of terror tunnels. "